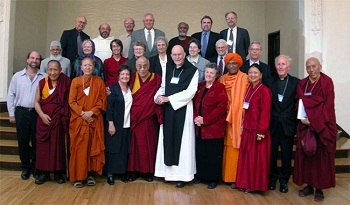 Here is a beautiful picture of the Peace Council a few years back now. So many shining faces representing spirituality and religion and celebrating this multifaith initiative. This is a spirituality website. I live in Swindon UK, and come from an interfaith perspective - I believe there are many paths to God. I also find rich spiritual wisdom in the more specific paths of the Bible and the spiritual text of A Course In Miracles. Mine has been a personal spiritual journey, much of it taking place in the silence and solitude of a room, during the years when I was living with very severe Chronic Fatigue Syndrome. One of the reasons I take an interfaith perspective is that my experience tells me that God can meet with us wherever we are. God can be found in silence. God will enter your heart and mind when you invite Him/Her/It to do so. You will find my poems, many of them interfaith, threaded throughout this spiritual website. 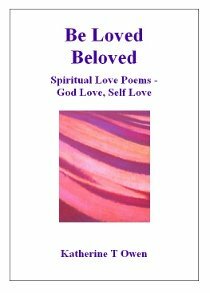 You can also click through to read about my small book of spiritual love poems, Be Loved, Beloved.